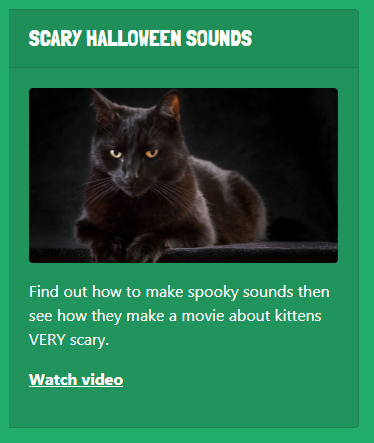 It’s nearly Halloween and we’ve got some scary activities for this weekend. 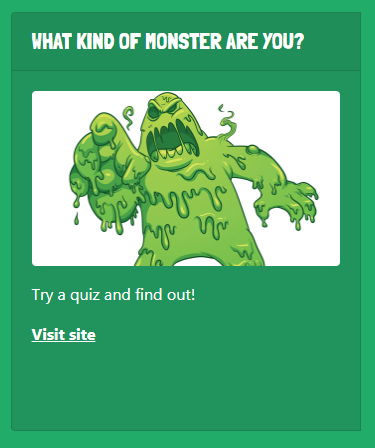 Scroll down for haunted house colouring, look and find spooky animals, a quiz to see what monster you are and more – if you dare! 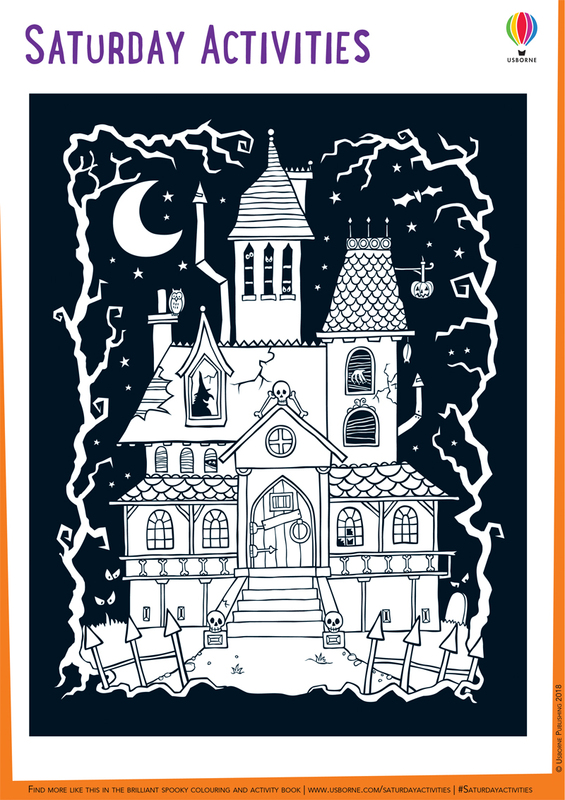 Colour in this spooky haunted house for Halloween. Download. 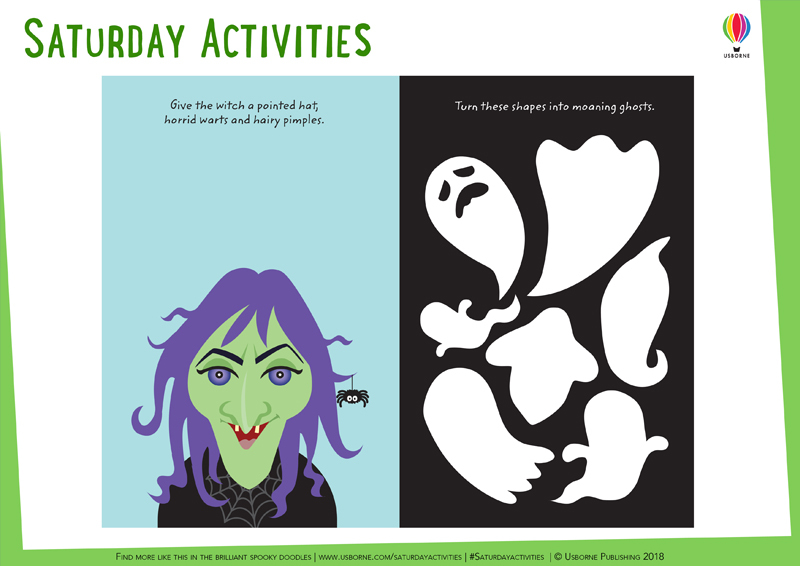 Give the witch a pointed hat, warts and pimples – and turn the white shapes into moaning ghosts. Download. 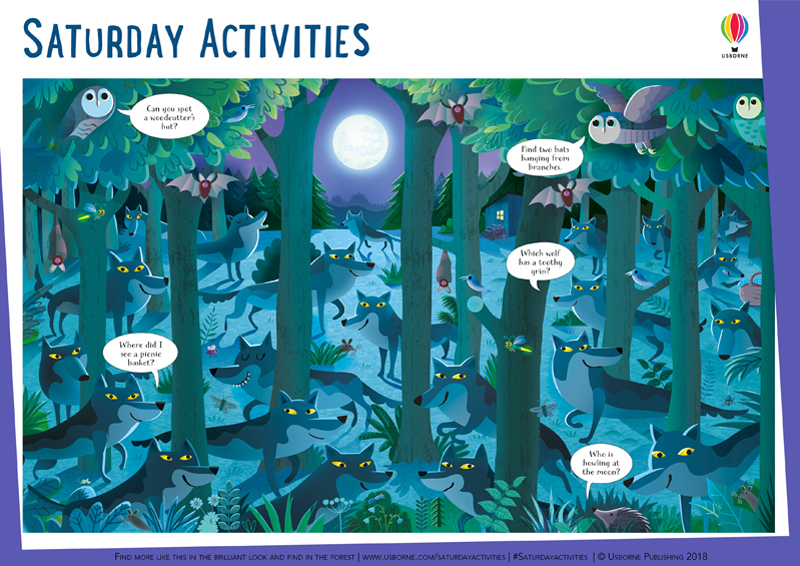 Can you spot all the spooky animals in these dark woods? Download. ¡Nos encanta ver cómo quedan tus fichas!. 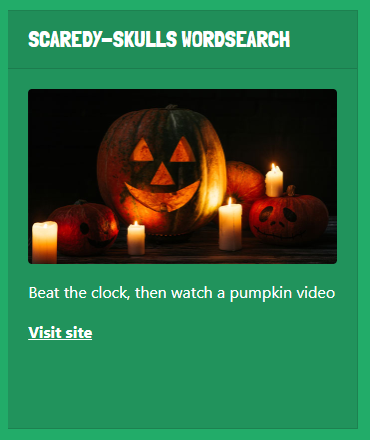 Take a quiz to see what kind of monster you are, try a spooky wordsearch and find out how to make scary sound effects.